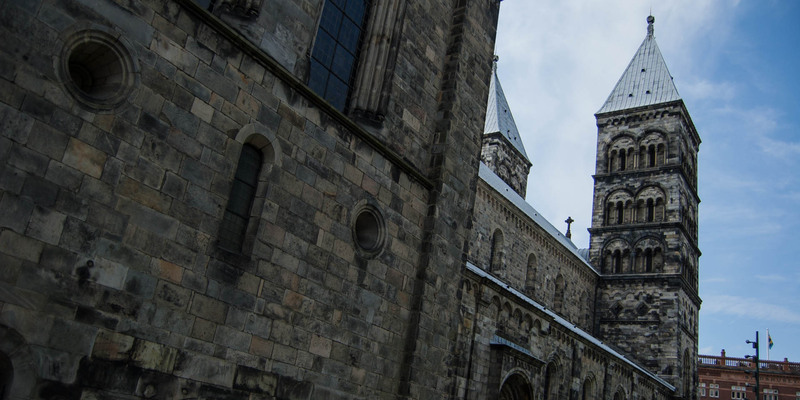 Lunds Domkyrka, the cathedral in the heart of the historic center of the old episcopal city Lund, is an impressive work of medieval architecture and also the oldest cathedral in Scandinavia. The cathedral was built from 1104 as a Romanesque basilica with a high center nave, two lower side aisles as well as two short transepts and a large, semicircular apse. In 1123, the crypt was completed and in 1145 the almost completed cathedral was consecrated to St. Laurentius of Rome. In 1234, the cathedral was severely damaged by a fire, in which only the crypt was spared and remained in their original state until today. Most of the damage was removed during a renovation in the early 16th century, but it lasted until the 19th century until the cathedral was completely restored. One of the most famous attractions within the cathedral is the great astronomical clock, just next to the main entrance. The clock is a technical masterpiece, created around 1425, of which only three copies exist in Europe. In addition to the time on a 24-hour dial, the several-meter-high clock displays the moon phases, the zodiac signs and a calendar with weekdays and dates over a period of 200 years. Every day at 12 and 3 pm (on Sundays at 1 pm and 3 pm), a small built-in organ plays the medieval jubilee In dulci jubilo, while a small gate opens and a procession of three kings, representing the mediaeval continents, and Mary with the child Jesus passing by. 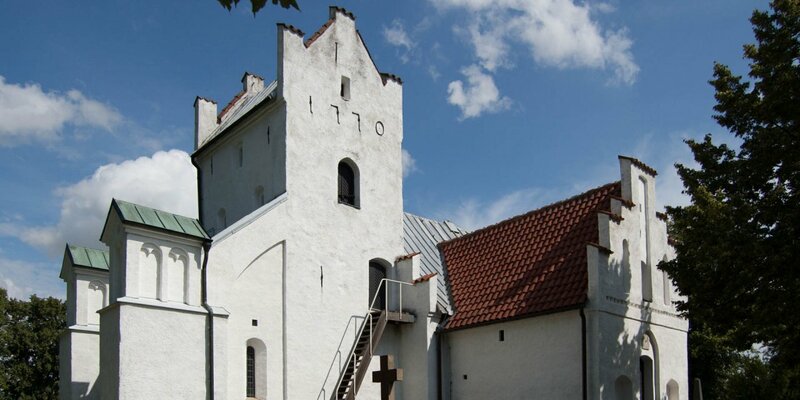 The crypt is one of the most famous preserved examples of medieval architecture in Northern Europe. Its ceiling construction consists of a total of 41 cross vaults, which are supported by a forest of pillars, but nevertheless emanate a certain lightness. One of the columns is famous for its sculpture, which hugs the column. According to the legend, this is the giant Finn, who, after a lost bet with Saint Laurentius, fled to the crypt and solidifies into stone. The depiction of a crouching female figure with child at the lower part of another column explains the legend as the family of the giant who suffered the same fate. 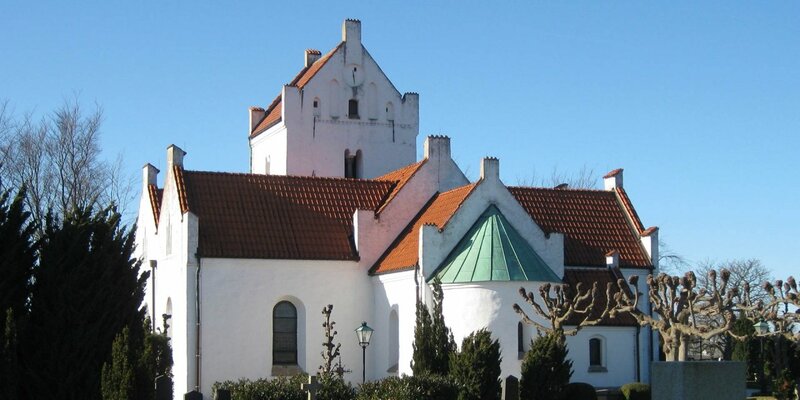 In addition to numerous ancient and ornamented grave plates, the sarcophagus of Birger Gunnarsen, the last Catholic Archbishop of Lund, is located in a central spot. On the east side of the crypt stands the main altar, consecrated in 1123, which originally stood at the place of the great sarcophagus until Bishop Gunnarsen chose this place for his last retirement. From the great central nave of the cathedral leads a broad staircase up to the high choir in the apse, whose dome glows in the bright colors of a large glass mosaic. While the mosaic, which represents the resurrection of Christ, dates back to the 1920s, a total of 78 choir chairs were built in the 14th century. The huge, wood carved altarpiece – seven and a half meters long and two meters high – dates back to 1398. One of the most magnificent objects in the cathedral is the pulpit on the north side of the central nave. It consists of sandstone, limestone, black and white marble as well as alabaster. The pulpit was created in 1592 by the German sculptor Johannes Ganssog and is considered one of the most magnificent works of the Nordic Renaissance. In total, the cathedral has five different organs. The main organ on the west gallery is with 102 registers and 7074 whistles the largest church organ in Sweden. 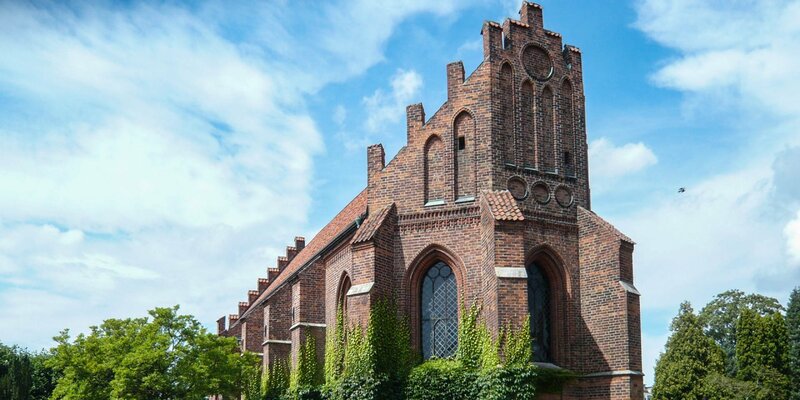 More detailed information on the history and development of the cathedral can be found in the Domkyrkoforum as well as the Domkyrkomuseum in the nearby Historiska Museet. The cathedral is largely barrier-free, and the high choir can be reached via a small lift. Accessible toilets are located in the neighboring Domkyrkoforum.